I’ve been teaching for more than 20 years, which means I have met many people. As much as I try, it’s tough to remember people’s names. I’ve tried memory tricks, such as associating the person with an object, another person, a city, and so on. I’m better at remembering names today than I used to be, but I have plenty of room for improvement. Learning names is both a skill and an art. I remember a trip to Hawaii on which a tour guide blew everyone away with his ability to remember all the guests’ names – about 60 of us. On the early morning bus trip to the excursion, he went from the front of the bus to the back, asking for everyone’s first name. Around 5 p.m. that day, we boarded the bus to return to the hotel, with most of us sitting in different seats. After more than 8 hours, and even though we sat in different places, the tour guide navigated through the bus and called everyone by his or her first name. Impressive! You are walking down the hallway, and you see someone you know. You’ve met this person before, and you should know her name. It’s hard to avoid eye contact, and she is waiting for you to take the lead. Woah! Hi, I know we’ve met before. Do you remember me? My name is Mark. By being proactive, you reduce the tension, and she will immediately respond with her name. Make sure to pay attention, and use her name in the conversation. By doing so, you are more likely to remember it in the future. You are seated next to a colleague that you met at a previous meeting. Today, you are both getting ready for a mandatory ethics training session. Unfortunately, the name tents are late in arriving, and you strike up a conversation. It’s obvious you know each other, but the names escape both of you. Hey! It’s good to see you again. Another training session! They never seem to end. Forgive me … but can you remind me of your name? By greeting the person, and discussing the training session, you change the dynamics. In essence, you are breaking the ice. You can even joke around that you were waiting for the name tents. The point here is to get beyond the name issue. Once you do that, you can have an excellent conversation. We’ve all done it. You are at the company party, waiting in line to select your drink. Sure enough … the person behind you is familiar. Too familiar, perhaps! Your lifeline is your friend, who is waiting in line with you. 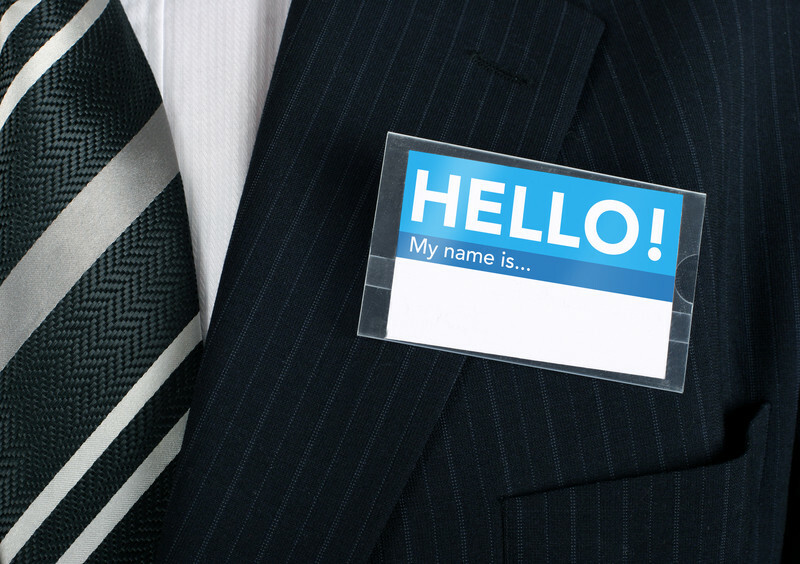 Your tactic is to introduce your friend with the hope of learning the name of the familiar person. It worked! We know each other, right? What department? Right! Got it! Based on the numbers, you guys are doing excellent work. Your name escapes me right now. Jacquelyn! I should have remembered. How are you, Jacquelyn? It’s great to see you again. You will not remember the names of everyone you meet. These strategies will help you get back on track. If you are genuine in your approach, others will not mind that you asked them their name. In short, you can expect those you meet to be friendlier if you take the time to call them by name.